The prices for the print book are $29.99 for the soft cover or the large print edition, including shipping and tax in the U.S.. The large print edition does not include the Notes, Bibliography or Index, which are available online or in print, upon request. The dimensions of the large print book are 8 1/2" x 11". You can compare print sizes here. You can pay with PayPal or any major credit or debit card. Use the contact page if you would like to use a purchase order. If you order nine copies, you get one free! Amazon offers the book and the price will vary. It is also offered internationally on Amazon. If you need a book quickly, or have a special order, use the contact page and I will see what I can do to assist you. 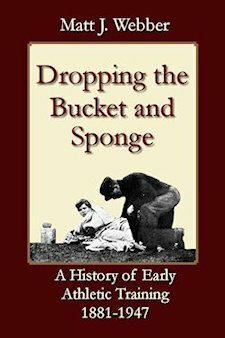 Dropping the Bucket and Sponge was the product of thirty months of research and writing. Thousands of newspaper, magazine and journal articles were consulted to find what the athletic trainers, and their practices, were like in these early days. 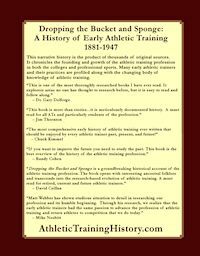 The book covers the people and events, from 1881 to 1947, that affected athletic training. 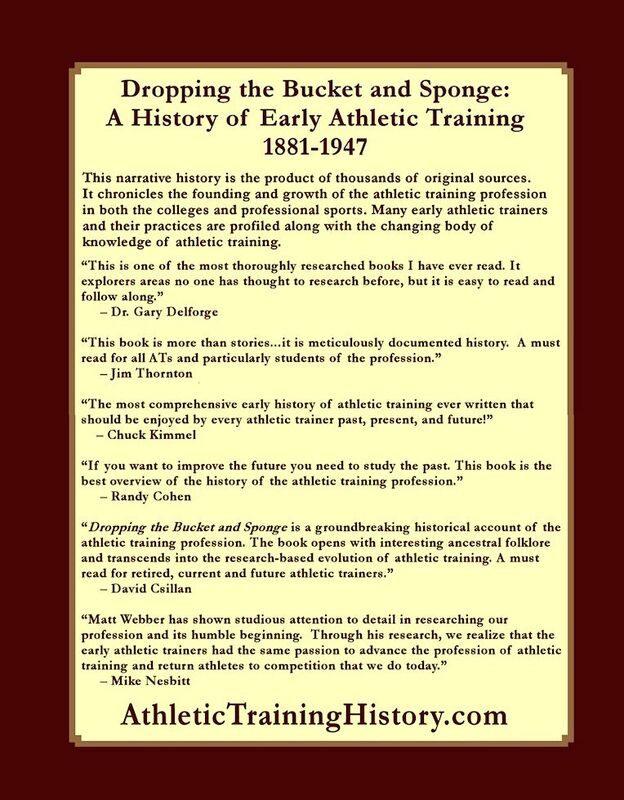 There are many biographies, long and short, for some of the athletic trainers during this era. Many athletic training supplies, equipment and practices were detailed. Athletic trainers in both the collegiate and the professional ranks, mostly in baseball, are profiled, along with their practices and facilities. There were very few high school athletic trainers during this time, but what little was found was included. There is a chapter on the Cramers and their influence on early athletic training. There are also chapters on the original NATA and the athletic trainers' activities during World War II. General practices have four chapters dedicated to them and baseball has five chapters. One chapter is on Andy Lotshaw, the nutty athletic trainer for the Chicago Bears and Cubs. The other chapters detail the lives and activities of the collegiate athletic trainers. All together, the stories of the athletic trainers and their practice weave the story of athletic training in its' earliest years. For the first time, that story is told by Dropping the Bucket and Sponge. You can pay for a book with PayPal or any major credit or debit card. This price includes shipping and tax.